Weight loss experts have said time and time again that the secret to losing pounds is to consume fewer calories than you burn. But does cutting calories have to mean feeling hungry and deprived? Not necessarily! 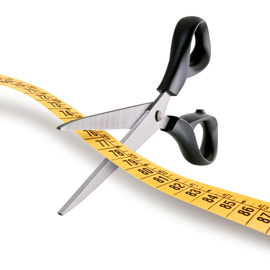 Learn how to cut your calories without cutting your satisfaction. Eat slowly. Make a point of enjoying every bite you eat. This will not only help you avoid mindless munching, but you’ll also be able to feel full while eating less. Eating slowly gives your brain time to receive the signal that you’ve had enough to eat, long before you get a chance to eat too much. Use smaller plates. Research has shown that using larger plates causes people to serve themselves more food and eat more. Try switching to salad plates for dinner to give your brain the visual signal that your smaller portions are big enough. Never eat from a box or a bag. If you’re eating potato chips straight from the bag, it’s easy to lose track of how much you’re eating. Take crackers, cookies, and other foods out of their containers so that you can pre-portion your snacks and stay in control of how much you’re eating. Properly portion your plate. When you fill your plate, load up half the space with vegetables. Divide the remaining half between your proteins and carbohydrates. Vegetables are filling without adding a lot of calories and contain important nutrients.